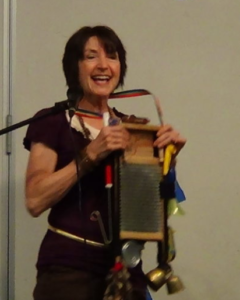 “…gifted and passionate storyteller. Karla is an impeccable artist and educator who brings her expertise and love of both the arts and people of all ages to everything she does. 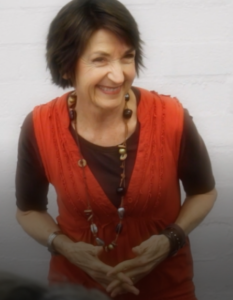 She has the ability to lift people and open them to the power and joy of including the arts–particularly storytelling and theatre–in their lives. Debora L. Escalante, PhD. Arts Integration, Utah Valley University. “Karla Huntsman is a dynamic performer. 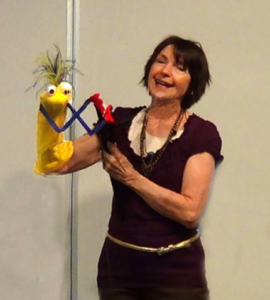 She has confidence and energy on stage that will captivate listeners from young to old.” Steffani Raff, Storyteller and creator of Pirates and Pajames. “Loved ALL her instructional activities. Have been anxiously awaiting her teaching us besides performing and delighting us. Appreciate her warmth and non-threatening teaching style.” BYU Arts Academy Participant. Super! My head was just spinning with ideas of how I can use this in my classroom. What a powerful literacy aid. This training will really bless my life. It will change my classroom atmosphere forever. BYU Arts Academy Participant. “…powerful, meaningful integration to improve the instructional practice of our teachers and to make their jobs easier and more enjoyable.” Cally Flox, Director of Arts Education Center for Improvement of Teacher Education and Schools.